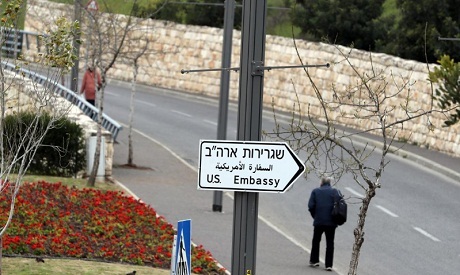 The United States Consulate General in Jerusalem, which serves Palestinians, will be absorbed into the new U.S. Embassy to Israel in March, a U.S. official said on Tuesday, giving a date for a merger that has been condemned by Palestinians. "The merger of the consulate and the embassy will take place on March 4th or 5th, at which point the position of the consul-general will end, said the U.S. official, who spoke on condition of anonymity because the date has not been announced yet by Washington. U.S. President Donald Trump outraged the Arab world and stoked international concern by recognising Jerusalem as Israel’s capital in December and moving the U.S. Embassy from Tel Aviv to Jerusalem in May. Palestinian leaders suspended ties with the U.S. administration after the embassy move. At the time of Pompeo's announcement, senior Palestinian leader Saeb Erekat denounced the decision to eliminate the consulate as the latest evidence the Trump administration is working with Israel to impose a "Greater Israel" rather than a two-state solution. "Contacts at the political level with the American administration have been cut off and will remain so unless the American administration changes its positions on Jerusalem and the refugees," said Abu Rudeineh. However, he said, there were still "contacts at the security level to fight terrorism." Israel regards the entire city, including the eastern sector it captured in the 1967 Middle East war and annexed, as its "eternal and indivisible capital," but that is not recognised internationally. The Trump administration has said that the city's final borders should be decided by the parties.